The Neutralizer AC Model 6500 incorporates the efficiency and power of an air amplifier with corona ionization technology to produce a highly effective static eliminating blow-off gun. Transforming Technologies' Model 6500 Neutralizer® AC incorporates the efficiency and power of an air amplifier with the proven technology of corona ionization to produce a highly effective static eliminating blow-off gun. 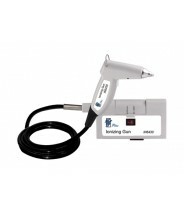 In addition, it offers a lightweight well-balanced gun powered by an internal, rechargeable, lithium ion battery and a replaceable emitter pin to keep the Neutralizer® AC Performing like new. 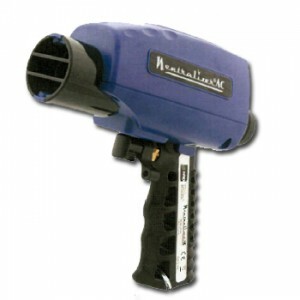 The Neutralizer® AC Ionizing Blow Gun is designed to be durable, dependable, and trouble free. It requires a minimal amount of maintenance. Each application and environment in which static control is required is different, making it difficult to state accurately how often cleaning or maintenance is needed. 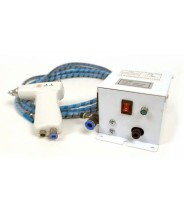 The Neutralizer® AC Ionizing Blow Gun is designed with a replaceable emitter pin, and comes with one replacement pin. It is recommended that the emitter pin be replaced every three months. Emitter pins may need to be replaced more often depending on the amount of use. Additional replacement emitter pins can also be purchased. Neutralizer® AC Ionizing Blow Gun is designed with a replaceable air filter. It is recommended that the air filter be replaced every three months. The air filter may need to be replaced more often depending on amount of use. Additional replacement air filters can also be purchased.